Adding & Using Custom "Input Fields"
Input Fields are ride details requested from customers for each ride. These can be customized for different service types. There is a video tutorial at the end of the article. 'Passengers' will insert a field that requests customers for the number of passengers in the car. 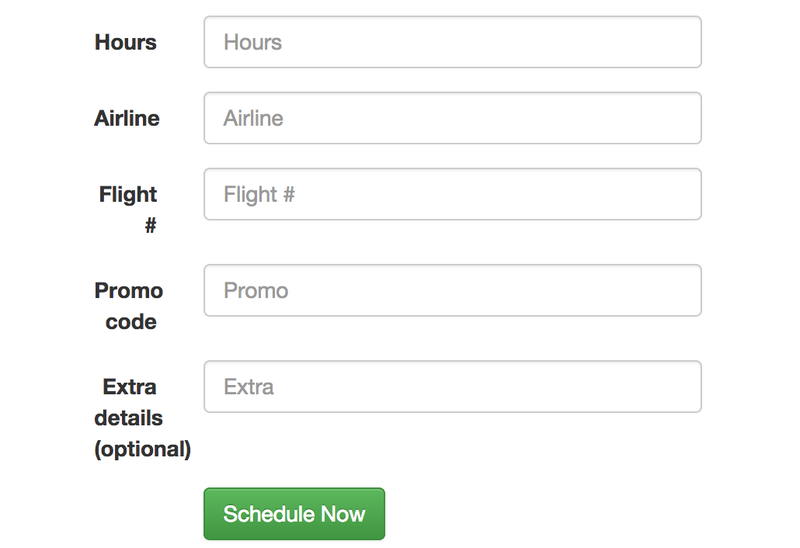 'Airport' will add fields for an airline and flight number. This is helpful for airport rides. 'Dropdown' is a customizable dropdown menu with any options that you'd like. Example: you can add a dropdown labeled "Event type" with the options of "Wedding", "Wine Tasting", "Night on the town." 'Number' is a customizable field that requests a number from the customer. Example: you can add a number field titled "Pieces of luggage" for luggage count. 'Text field' is a customizable text box for additional details.Example: you can add a text field titled "Pickup instructions" for the customer to add additional instructions for the driver. All input field information is visible through the dispatching center and the driver apps. Attached is an example of how these input fields appear on the web form.